Peyton Street Pen Works prototype fountain. Teri Morris cast the alumilite and made the pen in Santa Cruz, California. The pen is made from an alumilite casting that is semi-transparent with iridescent swirls of misty fern green, giving swirling appearance. It is a slightly oversize pen with a clip. Takes JoWo #6 nib units. Cartridge/converter filler. New, unused pen. Filling System Cartridge or converter filled, okay for eyedroppering. Ships with a converter installed. This is called a "3-in-1" system for cartridge, converter, and eyedropper. Color Semitransparent alumilite. It is a misty fern green with streaks of paler green transcluscence, giving a swirling sensation. It has flat ends and a stylized steel clip. This pen posts. 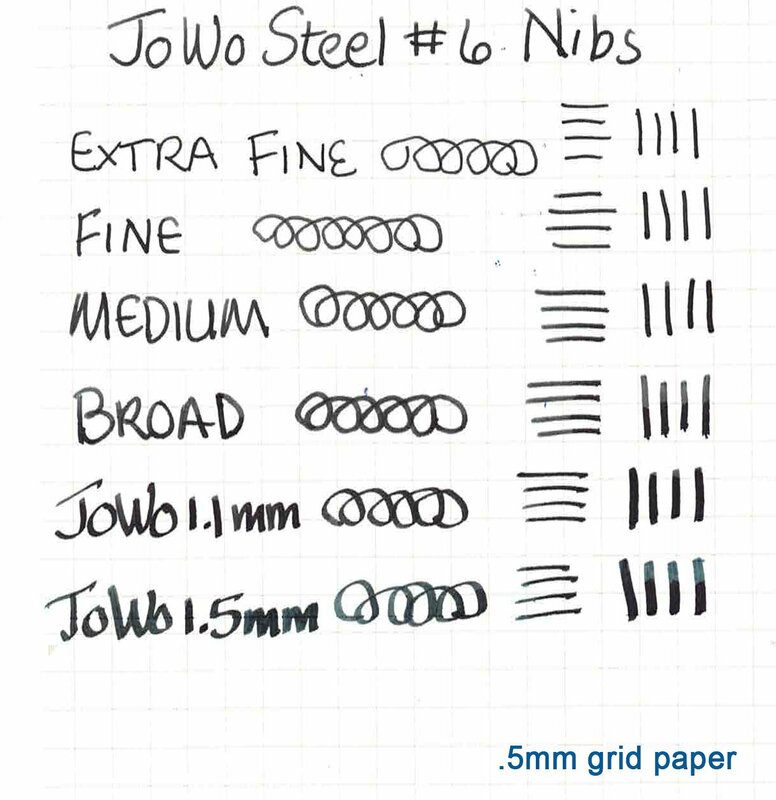 Nib Your choice of JoWo #6 nibs. Make selection from pull down menu. For additional nib options, please see our selection of upgraded nibs compatible with the JoWo #6 housing. Select the pen from the pulldown menu with no nib or converter, and purchase the nib separately.